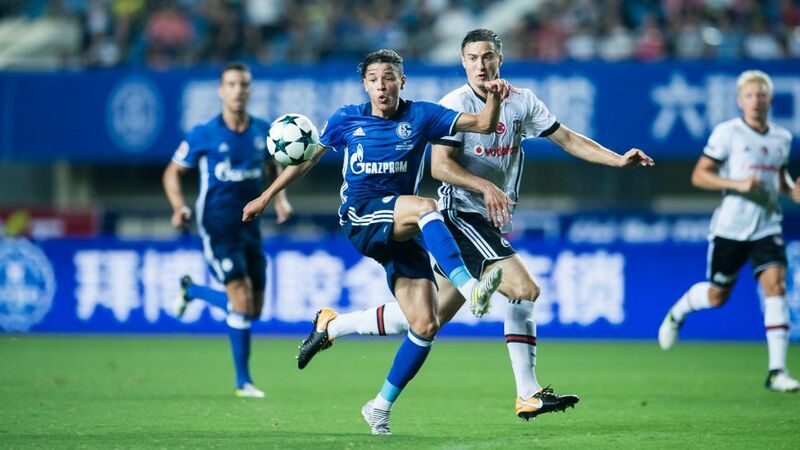 It hasn't taken long for Amine Harit to make an impression at Schalke. Just three weeks after his arrival in Gelsenkirchen, his trickery on the ball and rocket-fuelled dribbles have whetted the insatiable appetites of Royal Blues' fans, who can now barely wait to see their new signing in action for real. Ahead of the start of the Bundesliga season against RB Leipzig on Matchday 1, the French starlet sat down with bundesliga.com for an exclusive chat about his first impressions at his new club and just why he was so keen to come and play in the German top flight. bundesliga.com: Mr. Harit, how would you sum up your first few weeks as a Schalke player? Amine Harit: I'm very happy. My adaptation has been made easier by the French-speaking players, such as Benji [Benjamin Stambouli], Nabil [Bentaleb] and Breel [Embolo]. Naldo is also always there to guide and support me. The coach speaks French too, that helps me a lot. Also, the atmosphere within the squad is great. I'm still young and it's my first experience abroad, but thanks to the great attitude in the dressing room I feel good and not as nervous as I had expected. bundesliga.com: Have you already been able to weigh up the potential in the team? Harit: One thing is clear: there is a lot of quality. The friendlies were very instructive, but we'll only be able to really see where we stand after a couple of Matchdays in the Bundesliga. Having said that, I'm convinced we're in a position to do something. bundesliga.com: What do you mean exactly? Harit: Unfortunately, we won't be playing in Europe this season. So we want to do all we can to ensure that in 2018/19 we'll be playing in European competition. To do that, we'll have to work very hard, because this league is very evenly matched. bundesliga.com: What's your impression of Domenico Tedesco, your new boss? Harit: Very positive. The coach places a lot of value on communication, one-on-one. For example, after lunch he comes to me and explains to me what I could have done better in the previous training session. He gives us a lot of tips. He's young, but you can see his ambition and qualities. We will all make forward progress with him. Harit: Sitting in front of the TV, it always struck me how attacking and spectacular the play was in Germany. It's fun to watch. Everyone presses high. Also, the stadia are almost always sold out and people go to games wherever they are. I find that great. Also, I think I can make the next step in my career at Schalke, in part because the play in the league is so attacking. I'm really looking forward to experiencing it for myself. bundesliga.com: You kick off the campaign against last season's runners-up, RB Leipzig. What do you expect from the match? Harit: We will be up against a top opponent. I see Leipzig as rivals for one of those European qualifying places. It's no accident they will play in the Champions League group stage this season. Leipzig have a strong squad, and in Jean-Kevin Augustin, a strong forward. Moreover, he's one of my best friends. bundesliga.com: What makes him stand out? Harit: Firstly, it'll be a strange feeling, in my very first Bundesliga game, in my first outing at the Veltins-Arena, to come up against him. I cannot wait for the start of the game. Jean-Kevin is lightning quick, strong in the tackle and dangerous in front of goal. Without a doubt, he's among the best forwards of the new generation. I'm certain he can play a big role in the Bundesliga.